Dj Willy Wonka one of Los Angeles Hottest Caribbean DJ’s was born in Belize City, grew up in the Bronx,NY and currently based in Los Angeles, CA. He is a multitalented DJ focused on the genres of soca , dancehall , reggae and all the other open format genres. While studying at Syracuse University, he also took over the Drive at 5 radio show on WJPZ Z89(89.1FM), which was a great opportunity that gave him a chance as a Disc Jockey to show his skills to the city of Syracuse. Willy was touched with his Caribbean culture through Syracuse University's Caribbean Students Association, where he was the Events Chair and in-house DJ. His West Indian heritage heavily influenced the way he viewed music moving forward. On his journey as a DJ, he was inspired by many others from Belize, like his Uncle DJ Wiz and Evolution Sound. 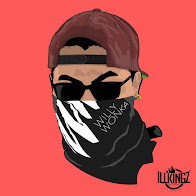 Willy has been selecting from the age of 17 and has worked with artists like Machel Montano, Faye Ann, Bunji Garlin, Benjai, Problem Child, Sekon Sta, King Bubba, iOctane, Mr. Vegas, Jamesy P, Ricky Blaze, and Ding Dong to name a few.